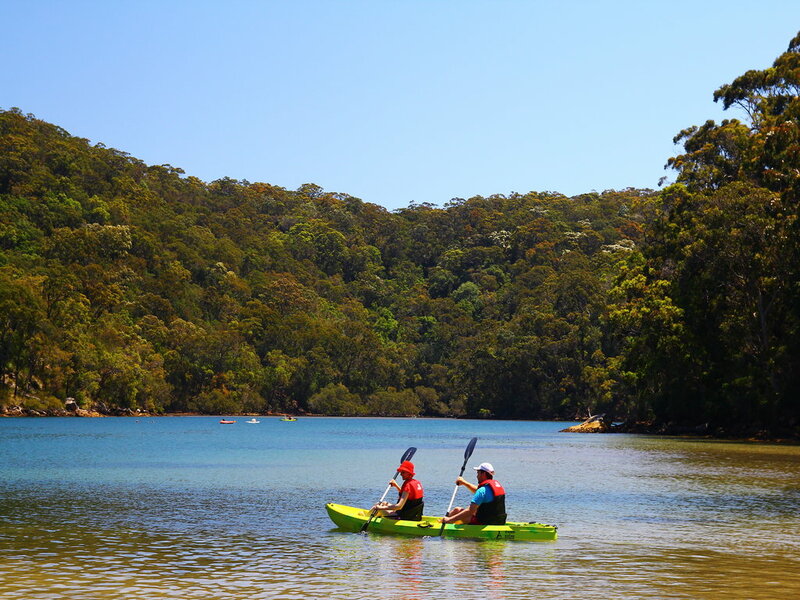 EcoTreasures, Sydney Australia provides exclusive hire of stand up paddle boards, snorkel gear and Kayaks at the Basin Campground, Ku-ring-gai Chase National Park. Explore the calm waterway of the Basin or venture into Pittwater on your own self guided stand up paddle board, Kayak or snorkel tour. Our experienced friendly staff will provide you with a safety brief, paddle technique demonstration and explain where are the best places to search for local wildlife. Enjoy nature at your own pace.